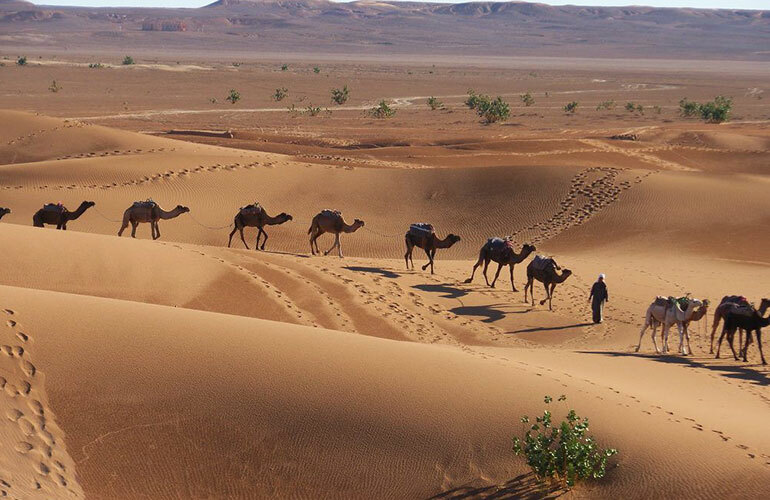 Our private 4 day Morocco Sahara desert tour from Marrakech to Merzouga sand dunes and Zagora is the perfect opportunity for travelers to explore the majestic Sahara Desert. 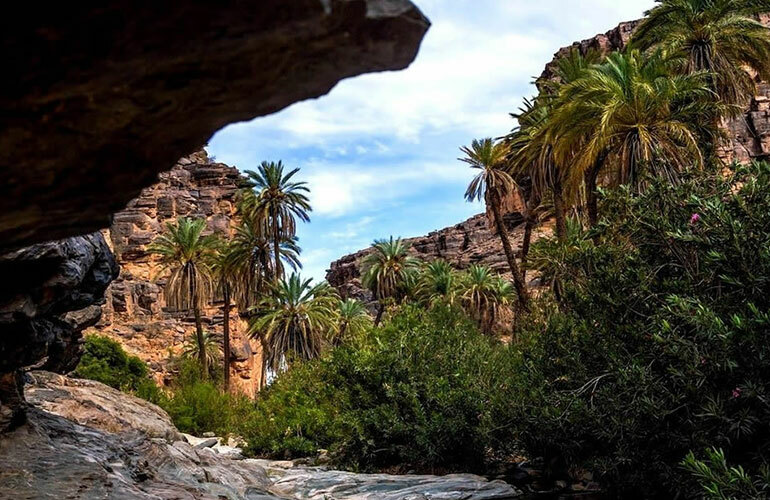 You’ll follow the path of the ancient camel caravans as you travel through the beautiful Draa Valley with its oases surrounded by fortified Kasbahs and thousands of date palm trees. Then, cross the massif of volcanic origin, the Anti-Atlas Mountains. Interestingly, its highest summit ranges at 3,304 meters. In addition, you’ll experience riding like a nomad as you become part of a camel trek in the Erg Chebbi sand dunes, the Valley of Roses, and you’ll travel the route of 1001 Kasbahs. And perhaps best of all, you’ll visit the simply magnificent Kasbah of Ait Ben Haddow! Here are some of the highlights of your Private 4-Day Sahara Desert Tour from Marrakesh to Zagora and Merzouga. 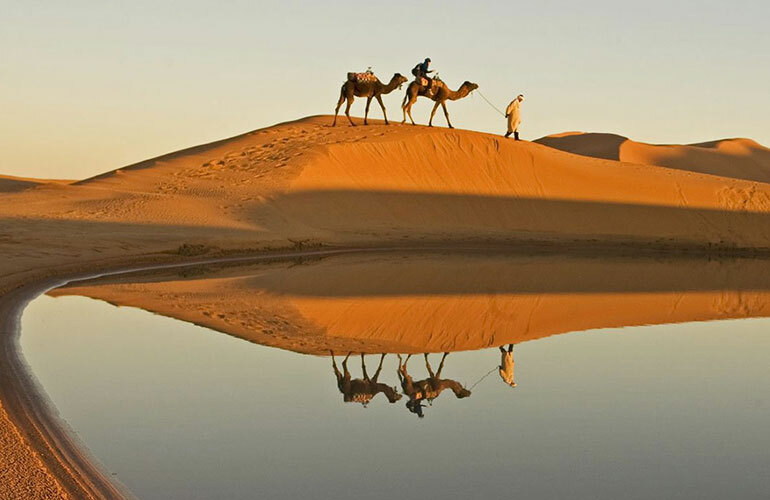 Have an unforgettable overnight stay in a traditional desert camp in Merzouga.. 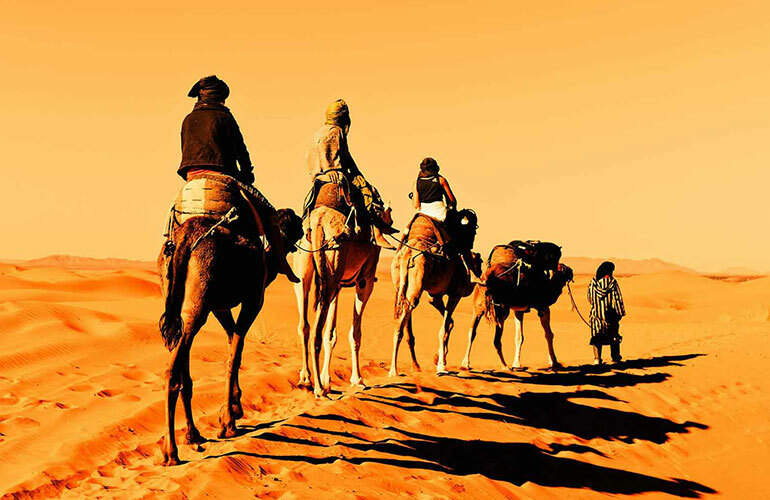 Your Morocco Sahara desert tour from Marrakech to Zagora and Merzouga begins when our English-speaking guide meets with you at your riad or hotel at 7:30 am. After that, We’ll start our tour by winding our way through the Atlas Mountains via the Tizi-N-Tichka Pass. Incidentally, you may be interested to know that this Pass rises to a massive 2260 meters above sea level, which probably explains the magnificent views! Time to get the cameras out! We’ll make plenty of stops along the way for you to enjoy and photograph the unbelievable scenery. On arrival, at Ouarzazate, we’ll visit Taourirte Kasbah where we’ll enjoy a leisurely lunch. And from here, we’ll continue on with our journey to Zagora. Here, you’ll marvel at the huge oasis at the foothills of the Atlas Mountains, which is a run-off from the Draa River. And if you’re interested in graffiti, you’ll be fascinated at the graffiti on the rocks at Tinzoulineto. As we travel along you’ll notice the henna plantations, fields of corn, vegetables, and barley. Soon, you’ll realize that you can’t help but be impressed by the huge palm groves which provide welcome shade to the Kasbahs and Ksours. Our evening meal and overnight accommodation will be in Zagora. Our second day of travel will see us crossing the volcanic peaks of the anti-Atlas Mountains. As we drive south-east across amazing landscapes and past beautiful oases, located seemingly in the middle of nowhere. Only then will you will begin to realize how gorgeous Morocco really is. We’ll rest at the Oasis of Alnif and enjoy a leisurely lunch before heading off for Merzouga via Erg Chebbi where we’ll meet up with our camel caravan. After that, we’ll be spending the night at our hidden Sahara Desert camp. 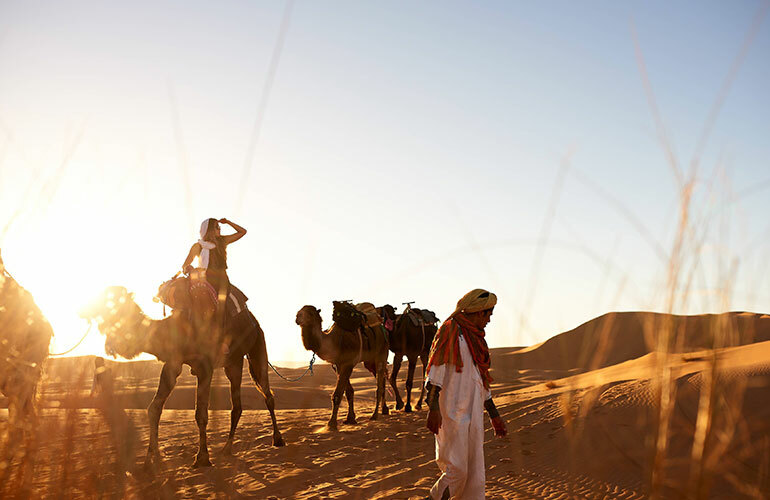 And we’ll begin this exciting part of the tour by taking a camel trek across the Erg Chebbi sand dunes to witness what many say is the most beautiful sunset one will ever experience. Again, make sure you have your camera handy because the sunset over the ever-changing sand dunes of Erg Chebbi is a sight to behold. The evening has just begun. Because you’re about to enjoy a delicious Moroccan dinner by the campsite, under the stars, where local nomads will entertain you with the music of their drums. Its clear starry sky with magnificent star constellations will have you reaching for your camera again because this is a scene you won’t experience anywhere else. Generally, taking pictures is a fun hobby. However, we urge our guests to focus on the beauty of Morocco and its gorgeous landscapes. Firstly, on day 3, you’ll have breakfast at our secluded Sahara Desert camp. 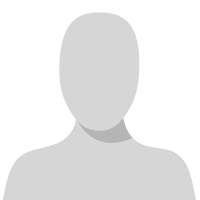 After that, we’ll travel along the 1001 Kasbahs, past oases, rivers, and fortified Kasbahs until we reach Tinghir. Before having lunch, we’ll visit a beautiful oasis and walk along the banks of the Todgha River until we reach Todgha Canyon. Afterward, we’ll rest for lunch. Subsequently, we’ll travel through Dades Valley, past some Berber villages and fortified Kasbahs, and we’ll watch a beautiful sunset at Dades Gorge, then head back to our hotel. Time to enjoy a delicious evening meal and settle in for the evening, ready for 4 days Morocco Sahara desert tour from Marrakech. Following a leisurely breakfast, we’ll follow the Valley of the Roses to KalaaMegouna. Here, we’ll visit the rose-water ladies’ cooperative and learn how the local people manufacturer rose-water perfumes. From here we’ll head to one of the biggest oases in the south, Skoura Oasis, then if time permits we’ll visit one of the Kasbahs, before moving on to Ouarzazate. There, you’ll enjoy a leisurely lunch. In the afternoon, we’ll travel via the Tizi-n-Tichka Pass on our way back to Marrakech. Finally, your 4-day desert tour will end with your guide returning you to your Marrakesh hotel or riad. 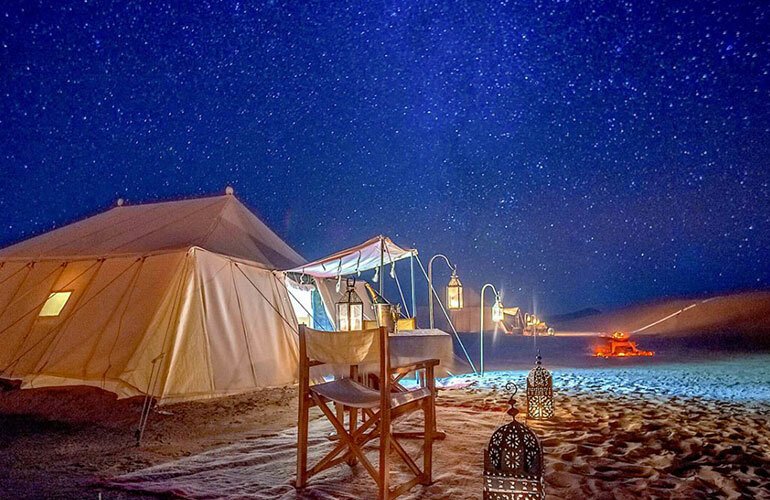 Overnight stay at our secluded Sahara Desert camp in Erg Chebbi – in a private tent. With guests sharing a bathroom. Showers are available in the morning at the camp operator’s lodge. Your evening meal and breakfast are included in your tour. Please note that you can upgrade to a deluxe camp with a private ensuite for an additional cost of €70 per person; however, this request should be made at the time of booking. A private 4-Day Morocco Sahara desert tour from Marrakech to Zagora and Merzouga will end when your driver delivers you to your riad or Marrakesh hotel.